You are invited to wear professional or cocktail attire for this event. Formal dress is not required. For the comfort of all, we discourage all attendees from wearing perfumes, colognes, or scented hair or body products before or during this event. DJ Afuw is the wow factor among elite DJs in the DC metropolitan area. Known for his high-energy mixes, this DJ’s captivating sound spans the eras and blends genres of hits. For more than a decade, DJ Afuw has stimulated audiences as a premier orchestrator of sound for all ceremonies, receptions, corporate events, fundraisers, holiday parties, and nightclubs. With an eclectic list of clients ranging from The Congressional Black Caucus, The Kier Company, Haworth Inc., Venable LLP, to BET, he has a proven record of creating an atmosphere that exceeds his clients expectations. 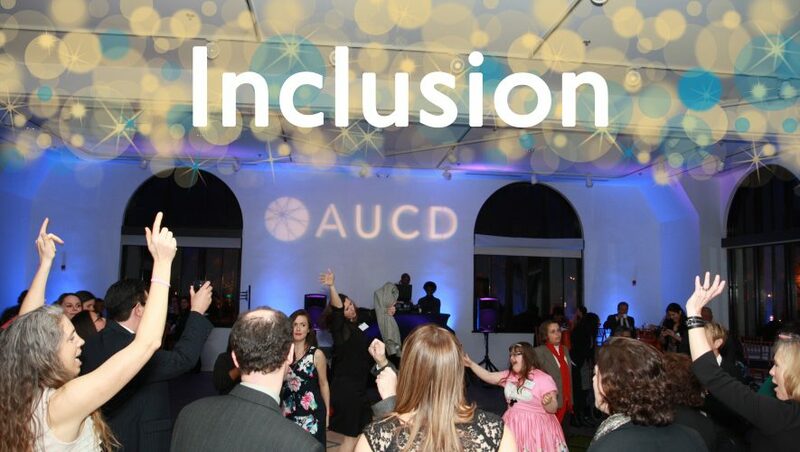 DJ Afuw has proudly partnered with AUCD for several Conferences and Galas, creating an atmosphere of celebration and a night to remember. See you on the dance floor! Musical Sign Language Interpretation during select songs will be performed by Aarron Loggins. A worldwide performer, Aarron has become a premier entertainer and advocate/activist for the deaf and hard of hearing. Aarron graduated from Gallaudet University in 2008 with Theater Arts degree. He has appeared on numerous television, theater, and musical stages, and holds the title of Mr. Deaf International 2014. In 2019, he performed the National Anthem during Super Bowl LIII with Grammy-Award Winner Gladys Knight. Attendees will receive their choice of a paper or braille program at the door. Those needing an electronic copy can download one here in PDF or Word.